Arthur G. Eads of Ellettsville passed away at Bloomington Hospice House on Saturday, August 25, 2018. He was 94. 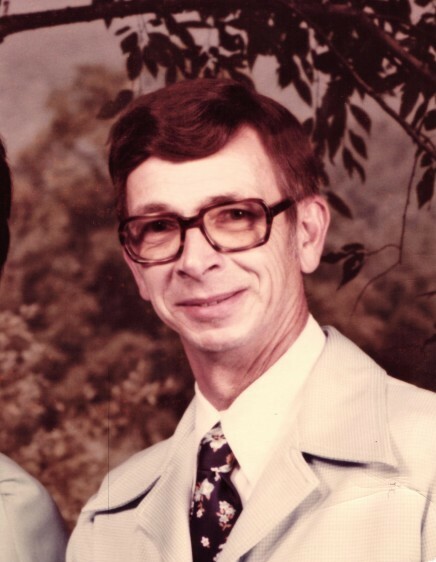 He was born on August 29, 1923 in Smithville to Arthur and Jane (Wampler) Eads-Shirley. Arthur graduated in 1942 from Smithville High School and then worked at Westinghouse and retired from Johnson’s Hardware. He was an active member of the Paynetown Pentecostal Church and Spencer First Assembly of God. He was preceded in death by his parents; wife of 58 years, Virginia M. Eads who passed on July 8, 2003; sister, Pauline Eads, and brother, Paul Eads. Arthur is survived by his loving children, Mike Eads and wife Barbara Platt of Bloomington and daughter Debbie Eads of Bloomington. Arthur also had several nieces and nephews. Funeral services will be held at Chandler Funeral Home in Ellettsville on Friday, August 31, 2018 at 11:00 a.m. with Pastor Charles Evans officiating. Burial is to follow at Clear Creek Cemetery. Friends may call upon the family at the funeral home on Thursday from 4:00 to 8:00 p.m. and again one hour prior to the service on Friday.